These glazes come in a liquid, ready-to-use form. They must be applied on a mature Cone 04 (1971°F) bisque, then glaze fired to Cone 05 (1911°F). Their variegated matte textures predominate at lower temperatures, and gloss textures at higher temperatures, with a mingling of matte and gloss between the extremes. 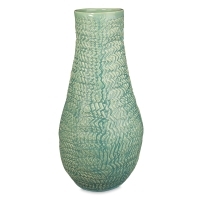 Apply Amaco Textured Alligator Liquid Glazes on mature fired bisque by brushing, pouring, or dipping. 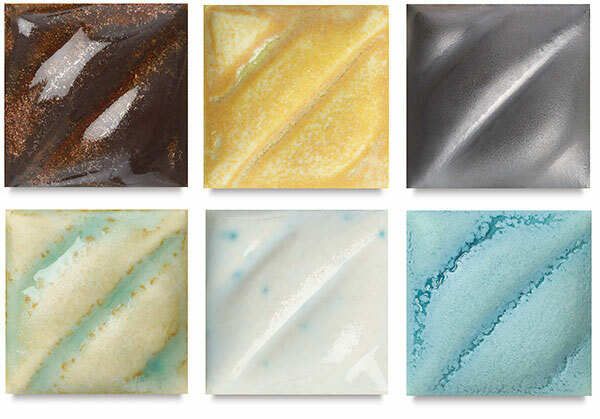 Set of 6 — Includes Jewel Brown, Mottled Orange, Old Pewter, Moss Agate, Speckled Green, and Tahitian Blue.